Try to figure out what this picture is made from. 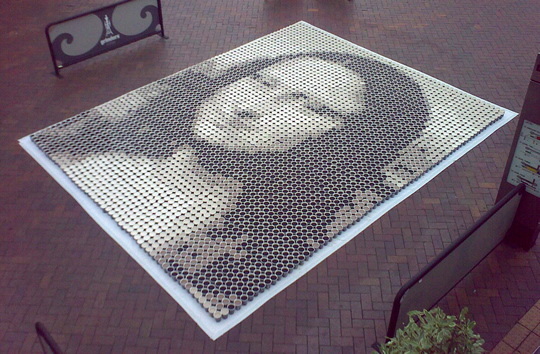 3,604 cups of coffee which have been made into a giant Mona Lisa in Sydney , Australia . The 3,604 cups of coffee were each filled with different amounts of milk to create the different shades!